For students who are ready to take on the benefits and challenges of private lessons, Brio is the place to be. With experienced, educated teachers, each course of study is tailored to the individual student. The benefits of private music study is well documented, and at Brio, we use the most recent research in music education to ensure our students are achieving their maximum potential. At Brio, students are given a wealth of performance and learning opportunities. We offer courses of study for beginners through advanced students. We offer lessons in violin, voice, piano, guitar and music theory. The music department at Brio is under the direction of Rachel Schwarz. Rachel has been a private music teacher for over 18 years, and holds a master's degree in music, with a concentration in vocal performance and literature. Rachel is a registered music teacher through ORMTA, and a member of NATS. All our music teachers have a fantastic combination of skills, knowledge and passion for teaching that make music lessons at Brio a fantastic choice for students of all ages and abilities. In the fall of 2018, Brio's music department is expanding to include violin instruction with Jordan Clayton. Born and raised in Chatham-Kent, Jordan is an experienced, educated performer and instructor. As a violin teacher, Jordan specializes in equipping young students with a complete technical and musical foundation. While he employs elements of the mother-tongue methods of Dr. Suzuki in his studio, he also finds rich inspiration in the methods of Létourneau, Doflein, Flesch, Sevcik, Schradiek, Mazas, and Wohlfahrt, among others. Limited spaces are available with Jordan for the 2018-19 season. Register now! NATS is an internationally recognized body of experienced, professional voice teachers. Students of NATS teachers have access to high-quality, experienced teachers and national and international performance opportunities. The ORMTA designation lets you know that a teacher has a proven track record of teaching and experience. ORMTA teachers have access to additional performance and educational opportunities for their students. 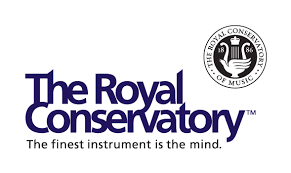 Students at Brio have the option of entering a formal curriculum of study through the Royal Conservatory of Music. This offers them the opportunity to test their skills and knowledge on their primary instrument. For focused, interested young musicians ages 4-6, we offer the Wunderkeys piano method. A breakthrough in early years music education, this program makes private piano lessons accessible to even our youngest musicians. Engaging, fun and designed to enhance early music literacy, this might be the perfect way to introduce your young child to private lessons at an important age for optimum music skills development.